In this section you will find information about the members of the bilingual teaching team in the School of Sport, Health and Exercise Sciences. Sarah Trotman is the Coordinator for Learning and Teaching in the department. The main purpose of her job is to support teaching and learning strategies, curriculum development and administration, and other initiatives such as the lead for Welsh medium provision. In addition, Sarah is an admissions tutor for undergraduate students and supports student recruitment and admission activities. Eleri is a sport psychology lecturer and delivers on a number of modules focused on psychology and applied aspects of sport. She is also the peer guide co-ordinator for the department, a personal tutor and is part of the marketing group. Julian is a lecturer in Sports Physiology in the school and teaches on modules focused on physiology and applied sport science. He is also a personal tutor to Welsh speaking students and co-ordinates the applied sport science experience of the postgraduate students. Julian is also the employability lead in the school. Kevin co-ordinates the running of the physiology laboratory’s, both for research and teaching purposes. He also teaches a number of the laboratory sessions for the physiology modules and is a personal tutor for Welsh speaking students. Gethin is an expert in physical literacy after a number of years working as a secondary school P.E. teacher. He co-ordinates and leads a number of the P.E. modules offered in the school. Robin completed is undergraduate degree within the school in 2016. He completed part of his degree bilingually and is now studying for a PhD in motor control. After completing his undergraduate degree in the school, Ben is now completing a PhD with the English and Welsh Cricket board. 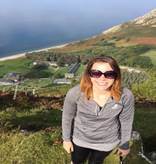 Claire completed her undergraduate degree at the school and has received a Coleg Cymraeg Cenedlaethol funded PhD working in clinical physiology. Following completion of her Masters in the school Jessica was awarded a Coleg Cymraeg Cenedlethol funded PhD. She works within the area of Sport Psychology under the supervision of Dr Eleri Jones.